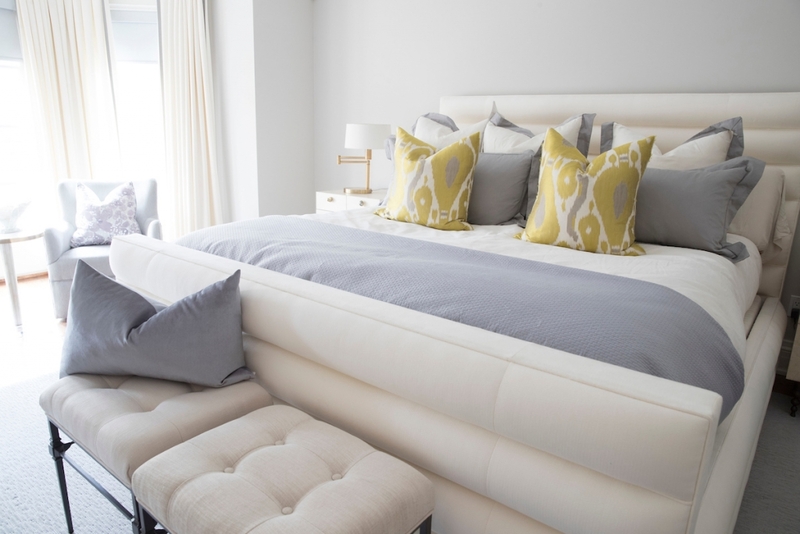 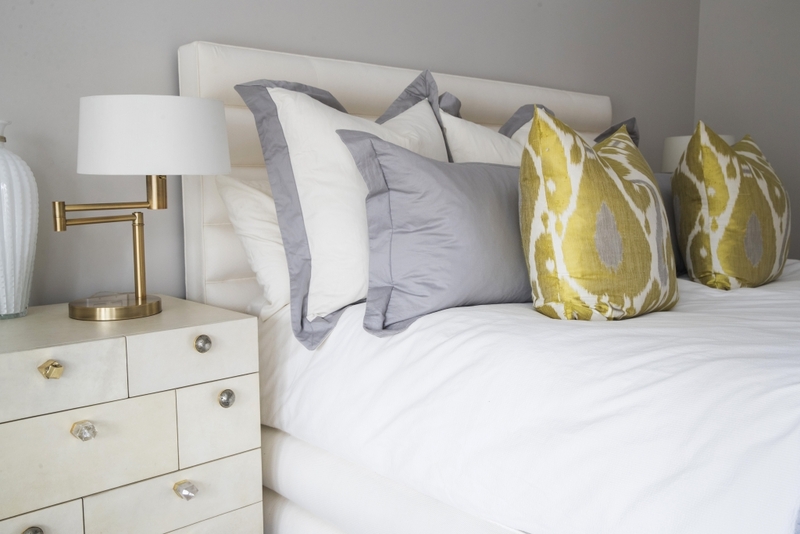 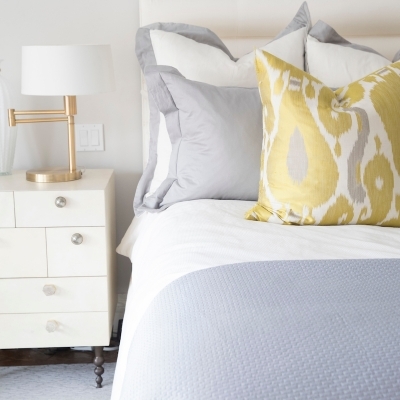 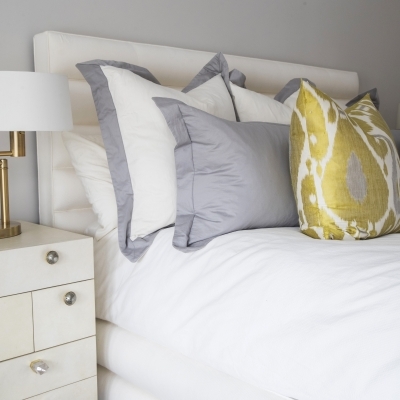 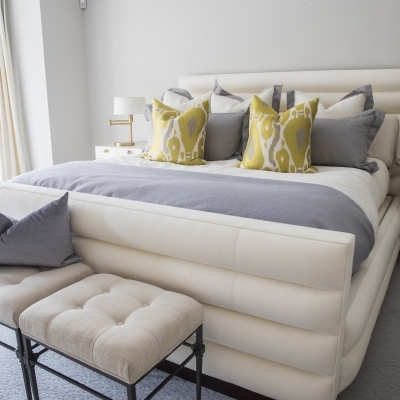 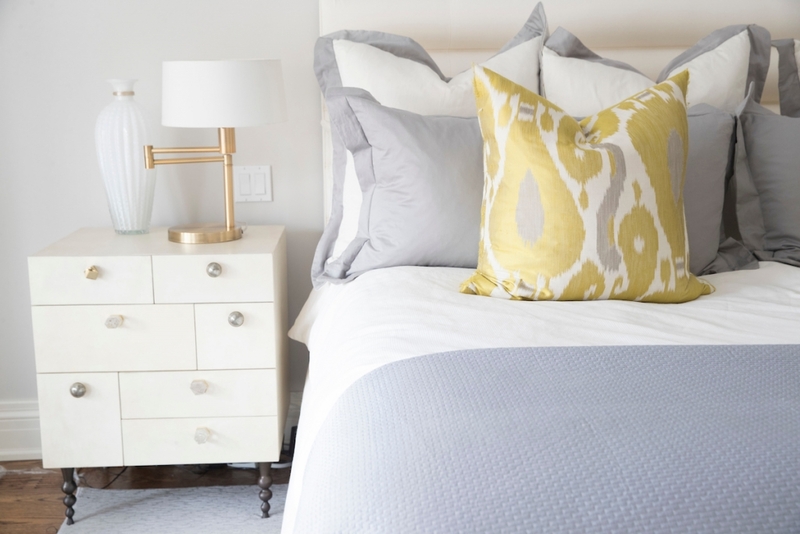 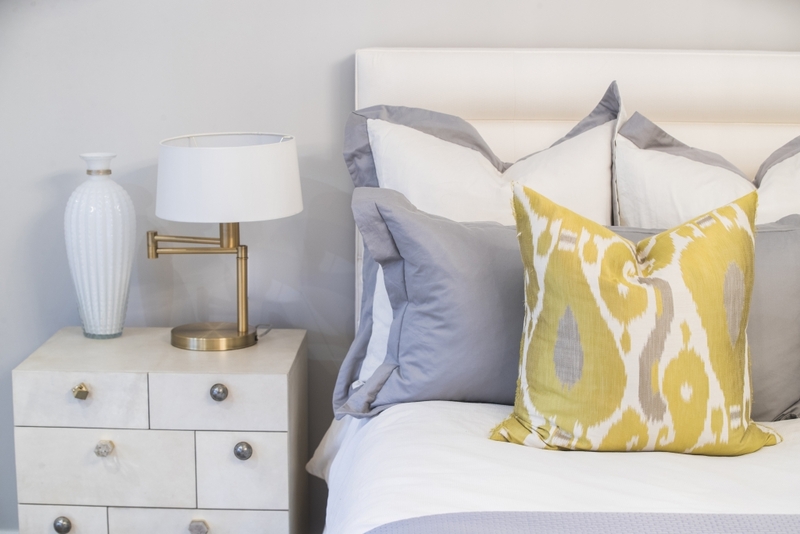 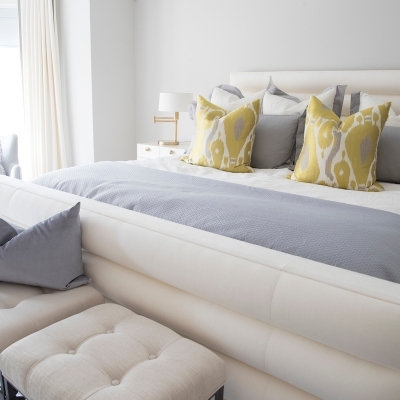 For this Lawrence Park, Toronto master bedroom design, we decided to go with a stylish and sophisticated palette. 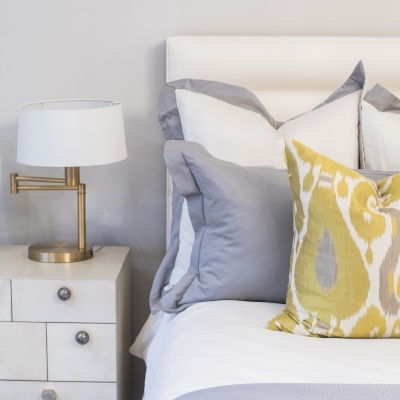 The subtle pops of color and unique nightstand hardware adds a special charm and personal touch to this interior. 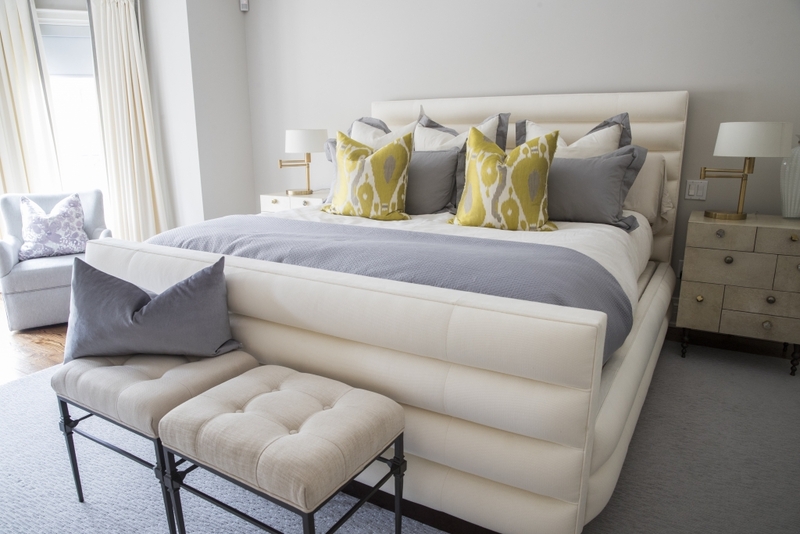 With a luxurious custom bed and a beautiful mix of textures, this sumptuous master bedroom is elegant and timeless.